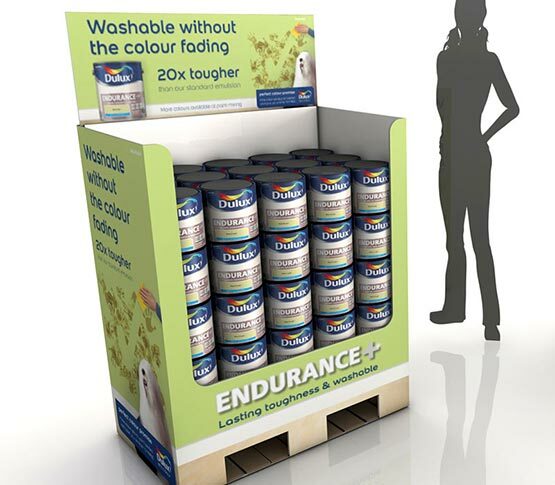 Cirka designed and manufactured Dulux’s cardboard instore display and POS campaign, for their premium performing paint Endurance. 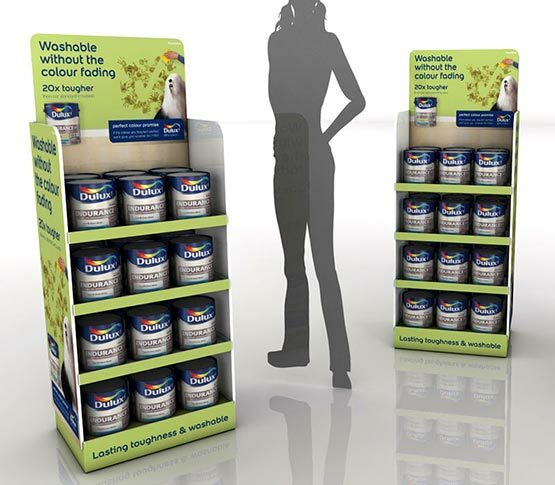 Fitted instore in just under 6 weeks to over 325 stores nationwide, is a glowing example of our integrated design process. 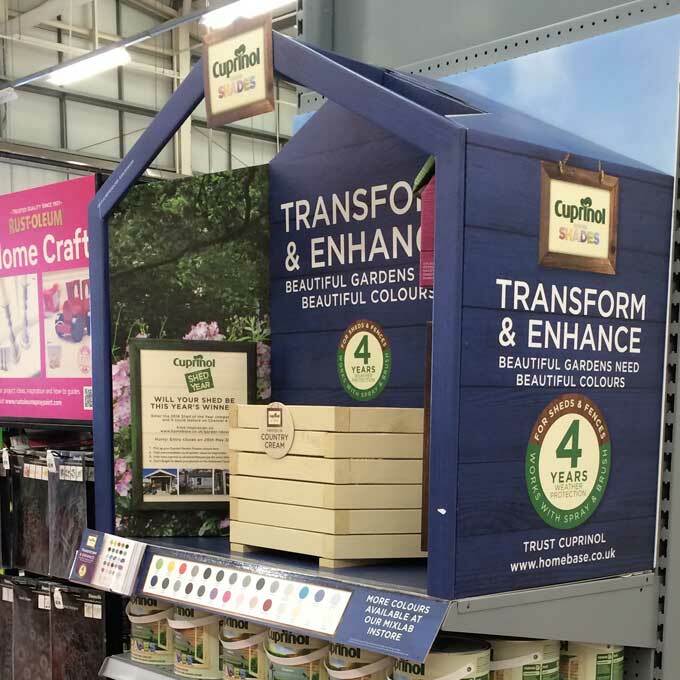 Retailers included B&Q, Homebase, as well a wide range of independents and garden centres. 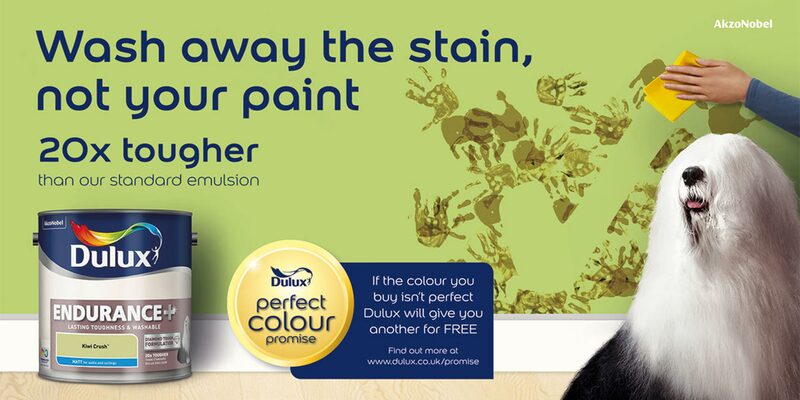 Dulux’s Endurance+ is a high-performance paint that is 20 times tougher, allowing stains to be washed away without damaging the paint, known within the paint sector as ‘value added paint’. 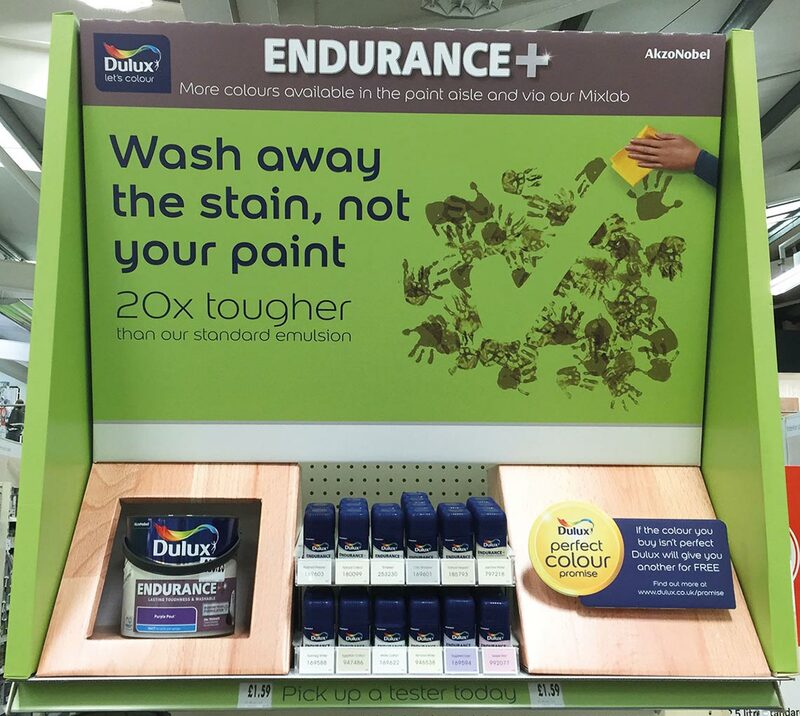 A key challenge with these paint ranges is how the brand/retailers can drive the upsell to these higher price point products. 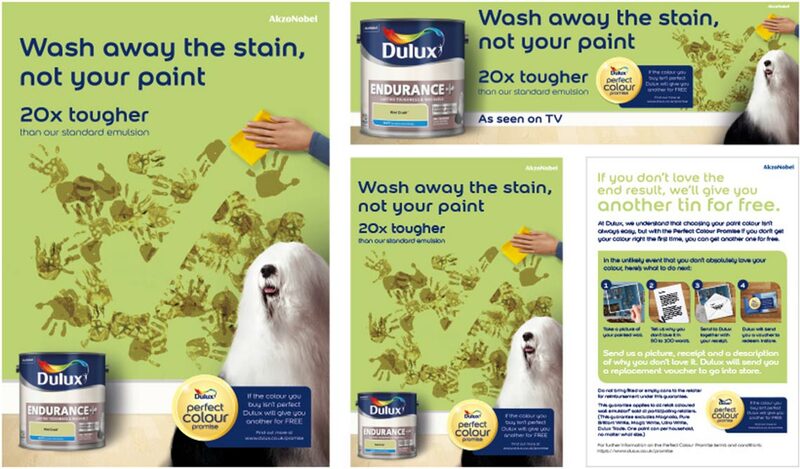 Cirka addressed this by working with the Dulux brand team to convey the product’s superior performance in a relevant manner that the shopper could understand, reinforced with simple but impactful imagery that visually represented common challenges the target shopper faced to appealing directly to a shopper-need state. 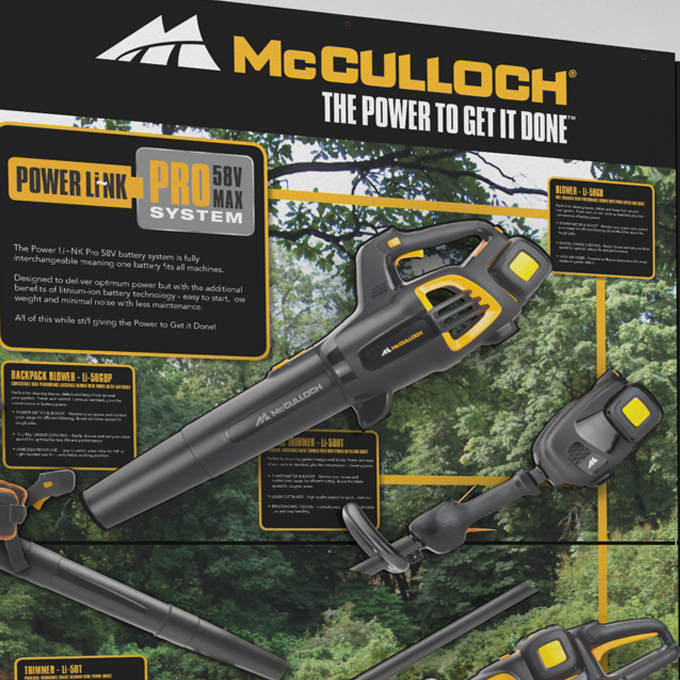 This consistent brand and educational messaging was at the forefront of the design team’s mind, crafting call to actions that provide a stable and engaging message to shoppers no matter their touch point in store. 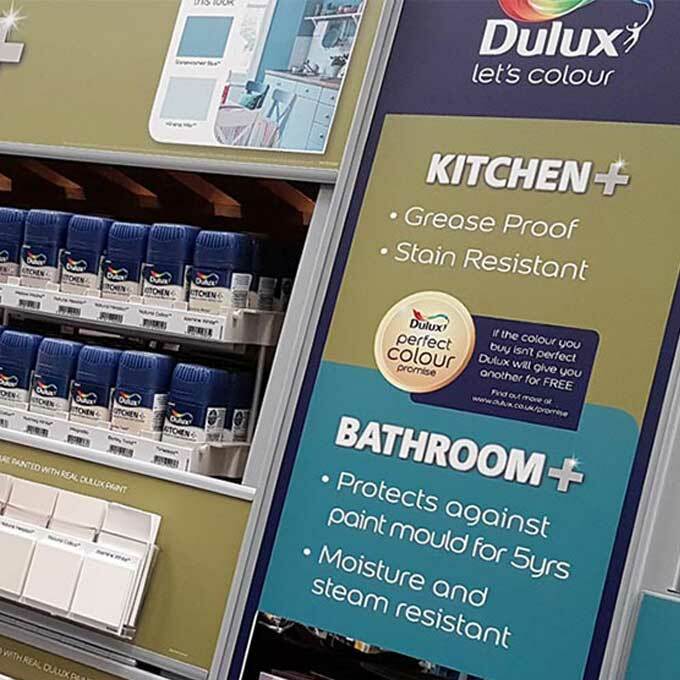 Cirka’s integrated design process, proved its net worth again with 2D/3D design concepts, flowing seamlessly from concept to full mocks-ups for retailer lab sign-off, to production and installation across a range of retailers and fixtures types in a short space of time. The integration of our experts teams of design, development and production enabled a complete solution to be delivered both on time and on budget with extremely high levels of compliance in store.